Are you focused on the right priorities in your business? And if your not working on it, you’re probably thinking about your business. After all, there’s a lot riding on it being a success. But with all those hours of time spent, are you focusing on the right things? By that I mean are you actually spending time on activities that are going to drive your business forward? I ask this because if you don’t, you’ll end up stagnating. You won’t move forward and you’ll get frustrated. So instead you need to invest some of your effort keeping your business fresh. And marketing is critical for that. 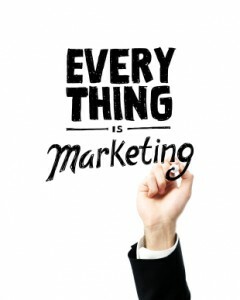 In fact, in some ways marketing is everything. And that’s because it’s your key to attract the ideal customer to your business. But there’s so much to do! It’s very easy to get bogged down in the day-to-day running of your business and lose site of the bigger picture. You can feel you’re working hard, but despite your efforts you’re treading water and run the risk of the competition outsmarting you. To avoid this, you must keep that all important “bird’s eye view”. Just this weekend I’ve seriously challenged my own priorities. I’ve taken a close look at some of the activities I felt were valuable to my business and reassessed them to check they are giving me the results and value I need. I was surprised by what I found, but also pleased I did this as it’s forced me to explore new, fresh ideas to develop my writing and my business. And I do think marketing is key. Let potential customers know you exist. Showcase your skills, experience and expertise. Demonstrate how to stack up with the competition. If you don’t, you’ll stagnate. And marketing is a creative activity. It forces you to think like a customer. It requires you to stay closely tuned with what they need and want. It keeps you on the ball with what’s working and what isn’t in your business. And it keeps you fresh and focused instead of lazy and complacent. So how are you marketing your micro business? And how are you juggling the time and financial constraints to make it happen? As a micro business I appreciate the importance of investing your money wisely. When you pay for anything you need it to generate results, otherwise it gets painful. Therefore you need to focus on stuff that gains exposure, but is also manageable in your micro business budget. I’ve found business is all about people. In fact, you’re more likely to do business with someone you know, like and trust. Networking provides a fantastic opportunity to meet likeminded business people, talk about your business and listen to what customers are saying. In addition, if you commit to a networking group, you’ll find people in it who will form part of your informal team of supporters. It’s invaluable. An important key to successful networking is your pitch. You need to hone a great elevator pitch that stirs curiosity and evokes emotion. Your aim shouldn’t be to sell, instead you want to encourage other networkers to want to spend time with you to discover more. Would you like to discover the secret to attracting more customers? Well the answer is simple… Get your words right. As a copywriter, every day I see businesses screw up their words and it’s costing them sales. Instead have a 121 with me. I’ll share with you some of my persuasive writing secrets. They are guaranteed to get you results and make you more money. I think blogging is one of the most powerful marketing tools at your disposal. The key with blogging is to only publish quality content. Both people and Google are not interested in keyword stuffed rubbish, or articles that were written and never meant to be read! Aim to be consistent in your posting, and write about things your target market wants to hear. To help, read this great post by Kassia Gardner about how to plan your blog posts a year in advance. In this age of mass information and endless choice, email is still an effective form of permission marketing. So even if you think you have nothing to write to customers about at the moment, it’s still worth building your email list. An effective way to do this is to create an expert product which you give away – for free in return for that all important email address. When creating your freebie you need to develop something really valuable and useful. In fact it should be good enough to charge for. I offer a free workbook called 7 Steps To Writing Copy That Sells. Here’s why I chose to do this. I meet a lot of micro business owners who write their own copy. Many of these people can write well, but struggle with persuasive writing techniques. My workbook is bite sized, covers 7 important tips and contains worksheets which reader can use to actually apply to their own business. “If you are setting up a small business or revisiting your website content I can thoroughly recommend taking time out to read what Georgina has to say in her 7 Steps ebook. I found her marketing explanations so clear and easy to understand which motivated me to try the worksheets. I found them simple yet effective to use and they kept me focused on the message I needed to deliver”. Expert products are a great way to showcase your skills. And never be worried about giving away information for free. You can find out just about anything on the internet these days so it makes sense for you to be the one to share! Again, if you don’t have the time to create an expert product, a copywriter will be able to help you. Of course I use other marketing activities to promote my business but in addition to Twitter, these are the three I use on the most.